A north-east boat-building centre has been awarded a prestigious award by the Aberdeen Society of Architects. Portsoy’s maritime workshop was designed by Brown and Brown Architects, based in Aberdeen, and won the award for the building’s use of space. It has now also been shortlisted for a national accolade through the Royal Institute of Architects Scotland. 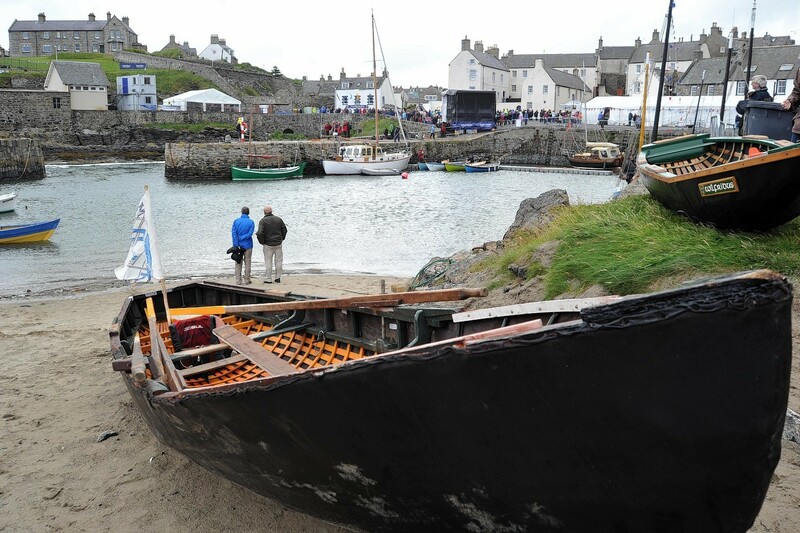 Constructed upon the ruins of a derelict building in a prominent location within Portsoy harbour, the new boat-building centre was created with energy-efficient materials. The building is used for the construction of timber boats and the teaching of the traditional skills involved, to both children and adults. Last night, a spokesman for the architectural firm said the boatshed “will play a key part in the local community and boat-building across Scotland”. It was officially unveiled at last year’s traditional festival in the village, when thousands of people flocked to the north-east community. It was subsequently visited by Prince Edward, the Duke of Kent, during a trip to the area. He met senior officials from Aberdeenshire Council as well as students from Banff Academy who have used the workshop. However, thousands of pounds-worth of damage was caused to the building, just weeks later when a fire started in a faulty flue attached to a wood burner. At the time, Roger Goodyear, chairman of the annual boat festival, said the fire was a “damn nuisance”, but that it would not hinder the building’s use. He said: “It was the first time the log-burning fire had been lit. Brown and Brown could celebrate a victory in the awards in 2016, which has been billed as the year of Scotland’s Festival of Architecture.